It's time to announce who's won the Gillis London Full Frame shoulder camera bag up for grabs in March's 'Spring' competition. The winner of the March 'Spring' competition where a Gillis London Full Frame camera shoulder bag was up for grabs has been announced. 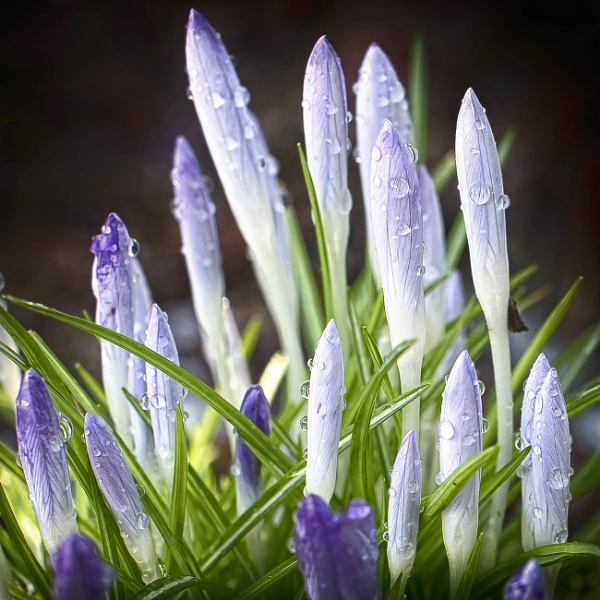 Congratulations to swilliams71, your macro image of budding crocuses has won you the bag! This is a vibrant and colourful macro image which perfectly fits the brief. We love the textures and subtle pastel purple shades of the emerging flowers. The dewdrops add freshness and extra interest to the photo. See all the entered images in the March 'Spring' competition forum topic. This month, there is the chance to win 1 of 3 Vanguard VEO GO & 2GO prizes in the 'Flowers' competition, as well as the chance to win a BenQ SW240 monitor in the 'Easter' competition. Well done, Sharon. Of course, once we see the crocuses start peeping through the soil we instantly know spring is on its way. Lovely image. Well Done, Sharon..Is A very nice image.